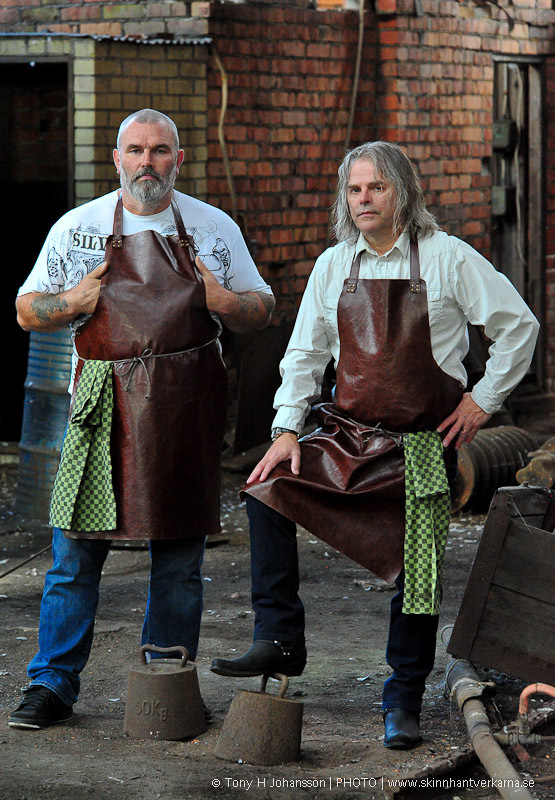 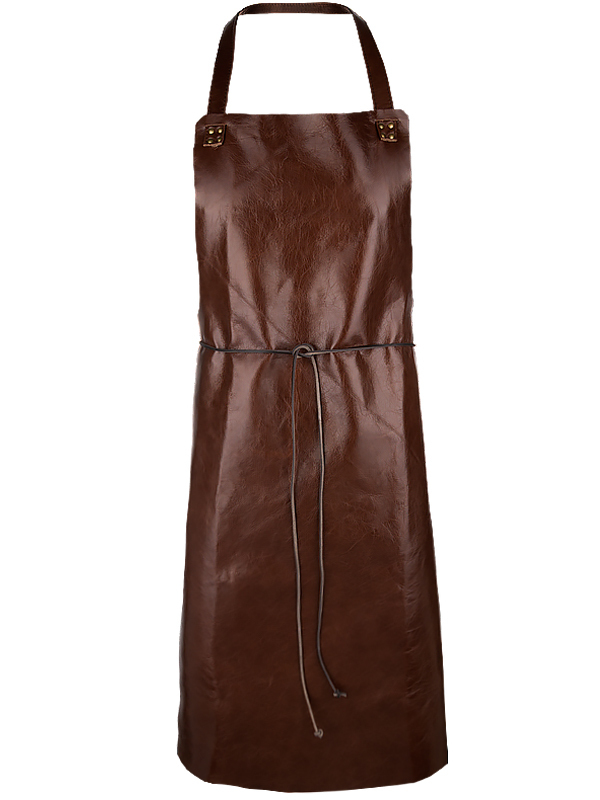 This is our simplest leather apron with less detailed work but still the same exclusive calf leather. 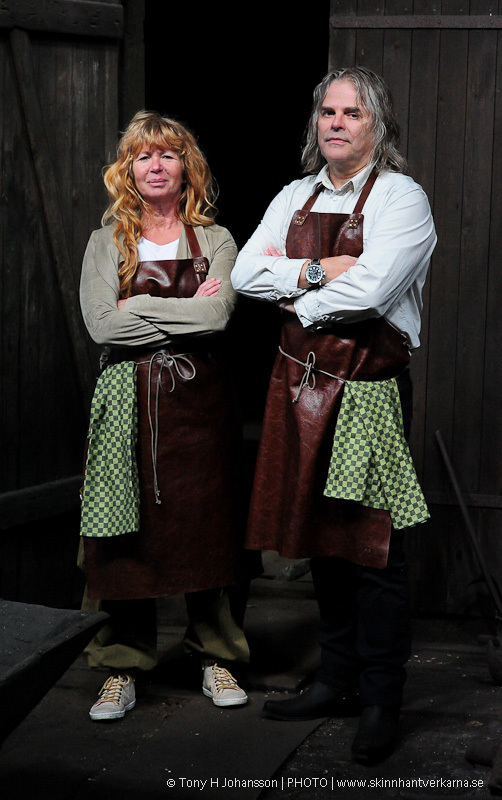 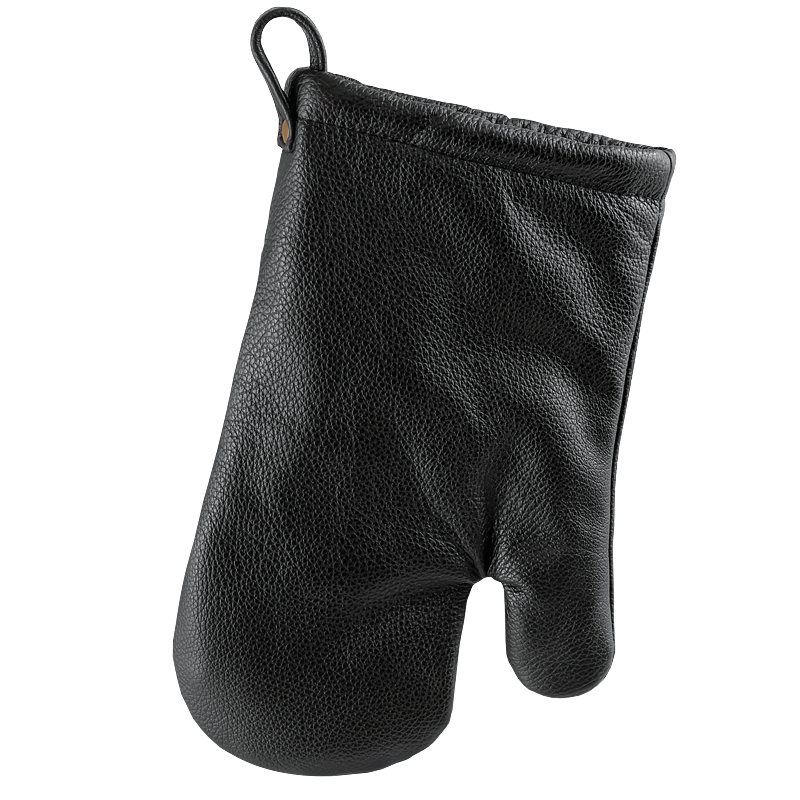 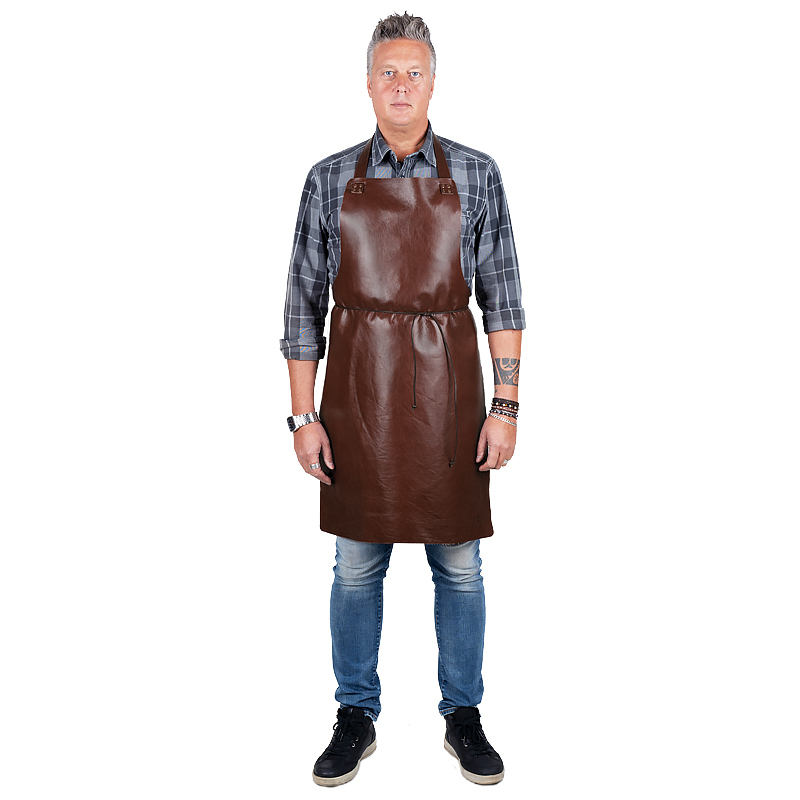 The standard apron is made in Sweden in a soft calf leather.Total length from neck and down 110cm. 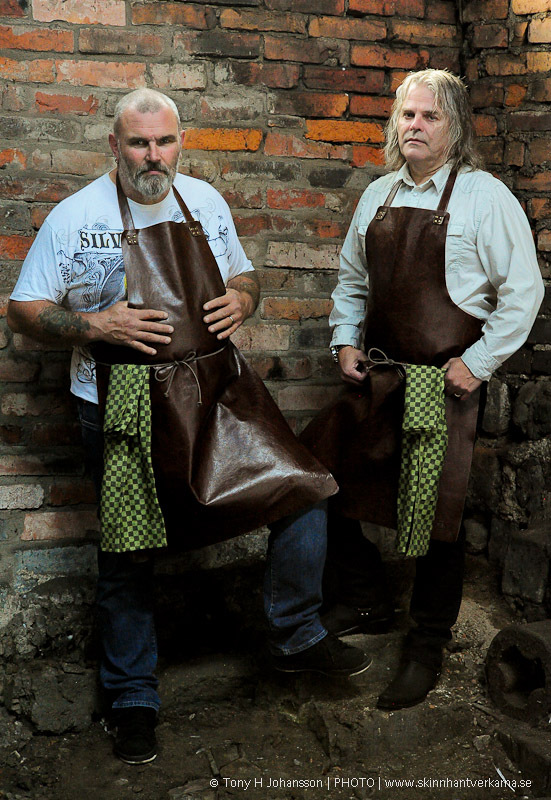 The apron has long straps that can be tied behind the back or on the stomach when you can attach a towel for wiping your hands. 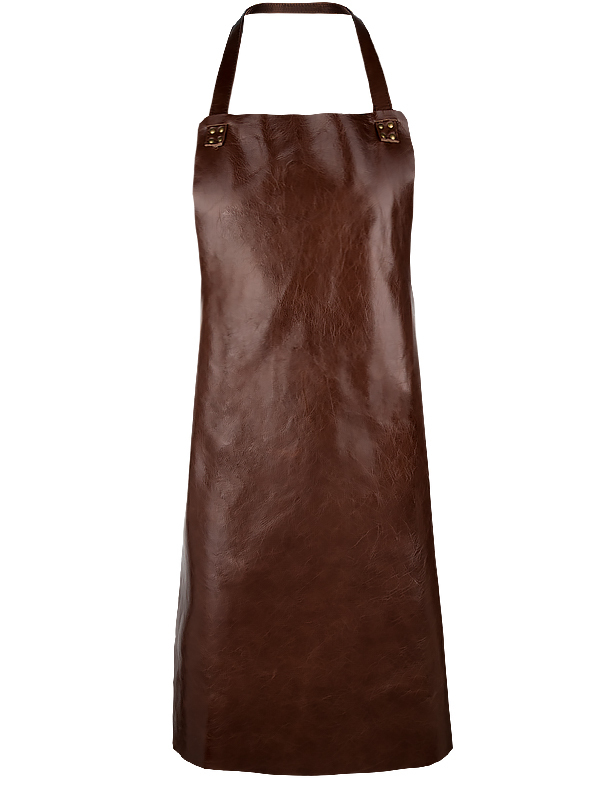 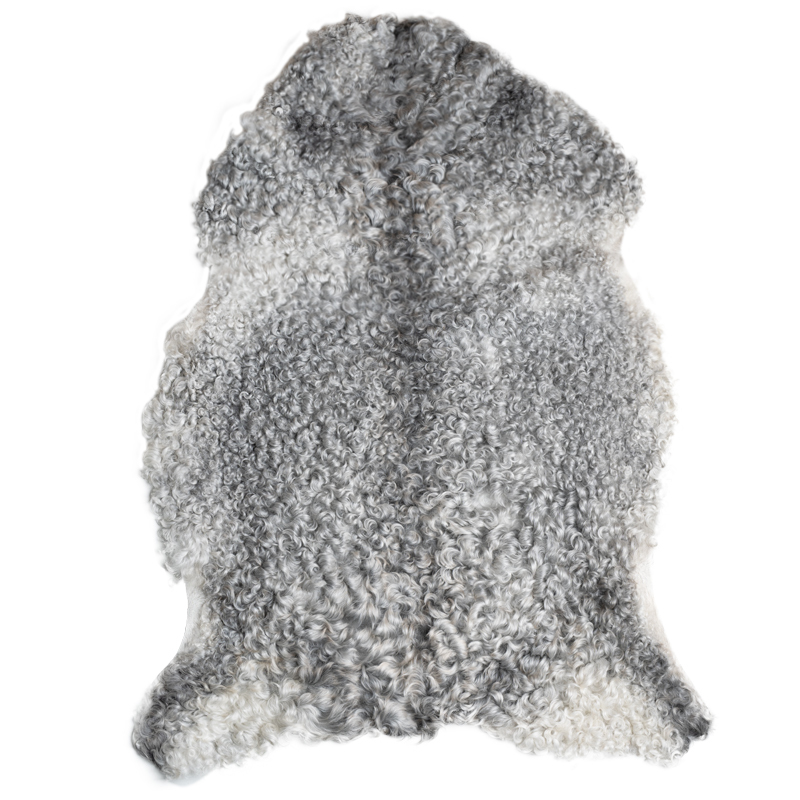 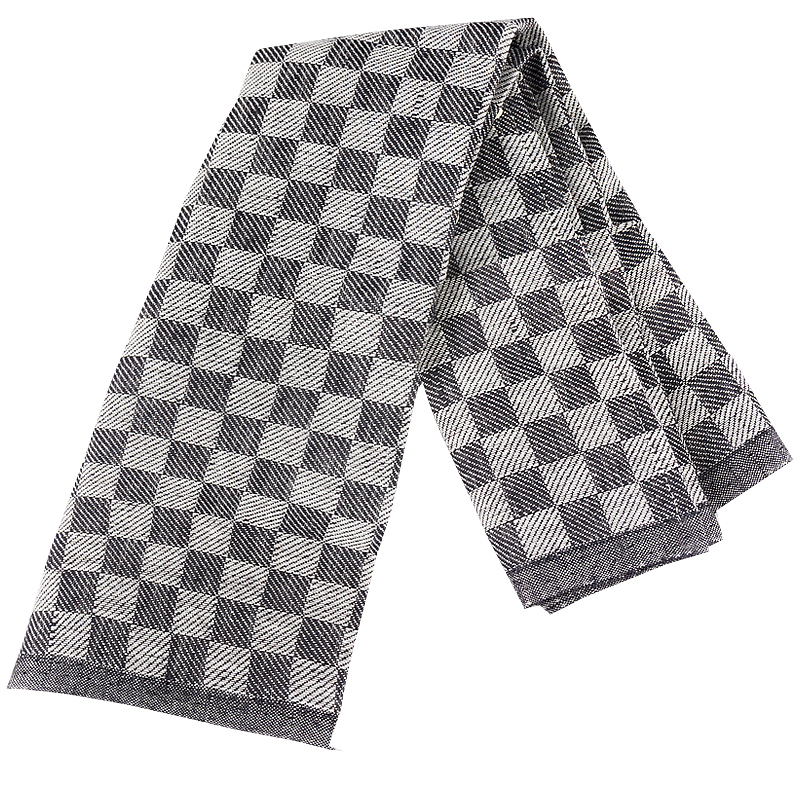 Nice neck straps that softly surround your neck. The model is 188 cm long and has apron size M.